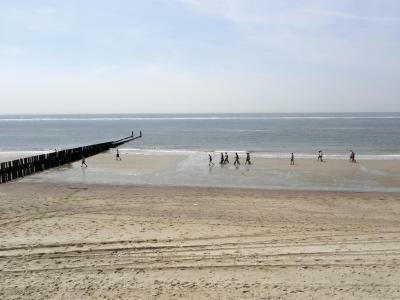 Lock in a great price for Fletcher Zuiderduin Beachhotel – rated 8 by recent guests! Room very nice, breakfast was excellent and view on the swimming pool. The professonal staff yet very social and open. Go out off their way to make sure you re comfotable. If its possible they will arrange it for you. Great. Additionally happy a package was provided for breakfast as I was leaving early. Quiet and comfortable room. Great location for the beach. Good parking. the staff was very kind,the rooms comfortable and big. many oportunities to walk. beach was nearby and you could walk to Westkapelle and Zouteland easely. in Westkapelle you could eat fresh fish and other things and in Zouteland you could eat as well and good. there's a Emte' in westkapelle,soon turn into a jumbo. Very good location, great breakfast but terrible coffee. Nice location, close to beach, parking. Family suite is nice, with children protection for the stairs. A perfect location, a very nice swimming pool and an outdoor garden, friendly staff, a nice family room, beautiful beach club. Fletcher Zuiderduin Beachhotel This rating is a reflection of how the property compares to the industry standard when it comes to price, facilities and services available. It's based on a self-evaluation by the property. Use this rating to help choose your stay! 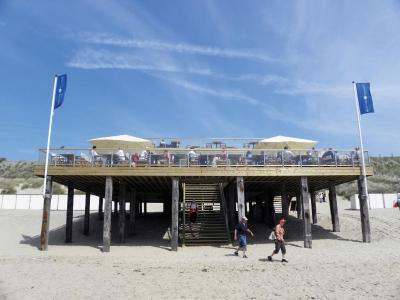 One of our top picks in Westkapelle.Zuiderduin has it’s own beach club with a seasonal outdoor pool. 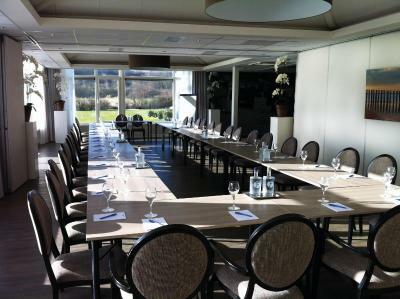 This hotel is only a 5 minute walk from the sandy North Sea beach in Westkapelle. Elegant décor and hardwood floors add to the modern feel of the rooms at Fletcher Zuiderduin Beachhotel. Each room includes a free daily buffet breakfast and comes with a flat-screen TV and a work desk. There are sauna and tanning facilities available for an extra charge. 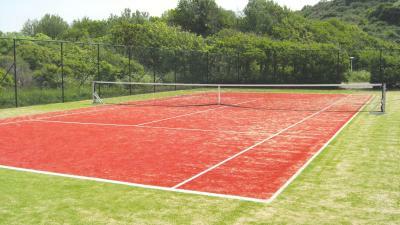 Middelburg and Vlissingen are both only a 20 minute car ride from the hotel. The dunes and beach around the hotel are ideal for walking and cycling. The hotel offers bike rental and a packed lunch service for guests. The restaurant serves French-Mediterranean cuisine with local Zeeland touches. The beach club serves international cuisine in a casual setting overlooking the beach. 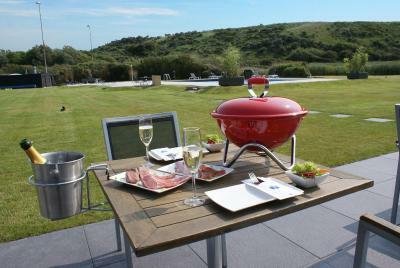 It also arranges barbecues during the summer. 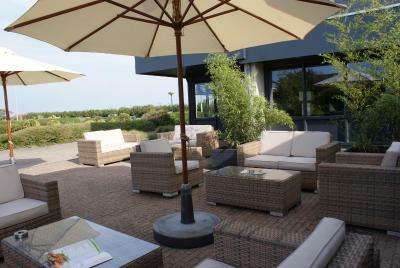 When would you like to stay at Fletcher Zuiderduin Beachhotel? This room features a very spacious layout and a sitting area. A warmly decorated room with free Wi-Fi and a private bathroom. This room has a spacious layout and a sitting area. This room features a balcony and a double bed of 4.6 ft wide. This room does not have the capacity to add an extra bed. This spacious suite includes a sofa bed and a balcony. A spacious warmly decorated room with free Wi-Fi and a private bathroom with a spa bathtub. This Small Comfort Double Room comes with a double bed of 4.6 ft wide and a shower. House Rules Fletcher Zuiderduin Beachhotel takes special requests – add in the next step! ATM card Fletcher Zuiderduin Beachhotel accepts these cards and reserves the right to temporarily hold an amount prior to arrival. Fletcher Zuiderduin Beachhotel accepts these cards and reserves the right to temporarily hold an amount prior to arrival. Various issues. Room: Basin in bathroom old and cracked. The drain in the shower stank( we had to sleep with an open sliding door) Soap dispenser did not work. Hotel: Breakfast was not up to standard. No food available when we went to eat ( was on time) . Seems not enough food prepared. Why the small selection. What is the idea of small plates!! The evening restaurant was quite poor. Poor value for money. The dishes were not as ordered with kimchi being some overcooked cabbage dressed with a bit of raw ginger and the trout piece was small and full of bones. Meager portions all round. in the winter most of the shops are closed because it's calm then and they will go on holiday. the coffee wasn't so good but alright. It was a very small room for a really high price, the food was ok not really great. The bathroom was smelly but it looked clean. Unfriendly waiters at the restaurant, bad food, and it was even a simple one. Room was okay, but I could hear people sneezing in one room, baby crying in the other one. Overpriced. Wifi very slow. Scrambled eggs very bad at breakfast, rest of the bf options okay. The food could be better for such a hotel. Also the time to wait for food in the restaurant was very long, although there were not so many people. On the other hand, the wine suggested by the waiters was extremely delicious. Breakfast was very delicious and a large variety to choose from. Easy access to the beach and wonderful nature walk or jogging along the beach and the dunes. Hotel restaurant's daily menu was great. The staff fluent in so many languages and very professional and friendly. The stairs within the family room were very steep - they had provided a child gate at the top of the stairs, but still even for an adult they were quite difficult to go up and down. The facilities were great- swings and slide for kids, trampoline and a nice baby pool and big pool. We were able to hire bikes from the hotel and cycle to all the nearby beaches and towns. The strange plastic bedspreads! But a small complaint. We LOVED the heated outdoor pool!